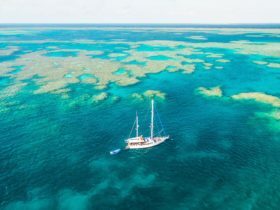 Experience a full-day Great Barrier Reef snorkeling adventure taking you to selected moorings around Bait Reef – the closest of the outer reef locations. 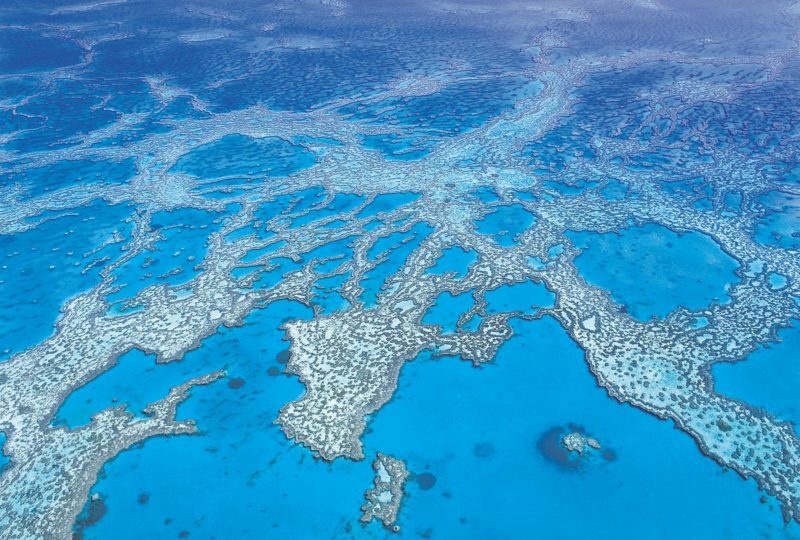 Departing at 8.45am and returning 5pm, the full day tour visits two locations within Bait Reef. A minimum of three and a half hours is spent on location. 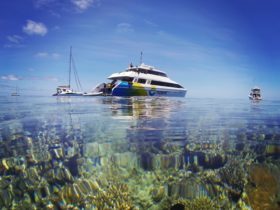 The reef is accessed by their premium dive/snorkel vessel, Island Explorer. She has two levels of air-conditioned luxury, lounge style seating, a partially shaded deck and fresh water hot and cold showers on-board. There is a full beam swim platform which makes entering and exiting the water a comfortable and easy experience. A delicious buffet style lunch is provided on board, as well as morning and afternoon tea. 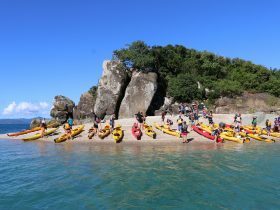 Includes high quality Mares Diving and Snorkeling gear; wetsuits/stinger suits and flotation jackets (if required). They are intimate. They operate by taking smaller groups to ensure a more personalised and quality experience. Top of the line equipment and vessel. 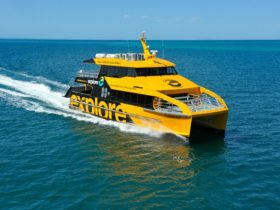 Travel between sites in comfort on their new boat Island Explorer. Informative. Educational Great Barrier Reef and Whitsunday Island commentary en-route. Various sites. You’ll visit dive sites around Bait Reef including Stepping Stones, Paradise Lagoon and Mantaray drop-off. 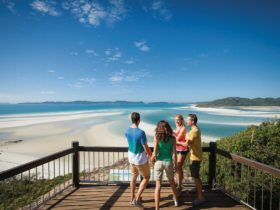 Experience a full-day Snorkel or Dive Great Barrier Reef snorkeling adventure taking you to selected moorings around Bait Reef – the closest of the outer reef locations. 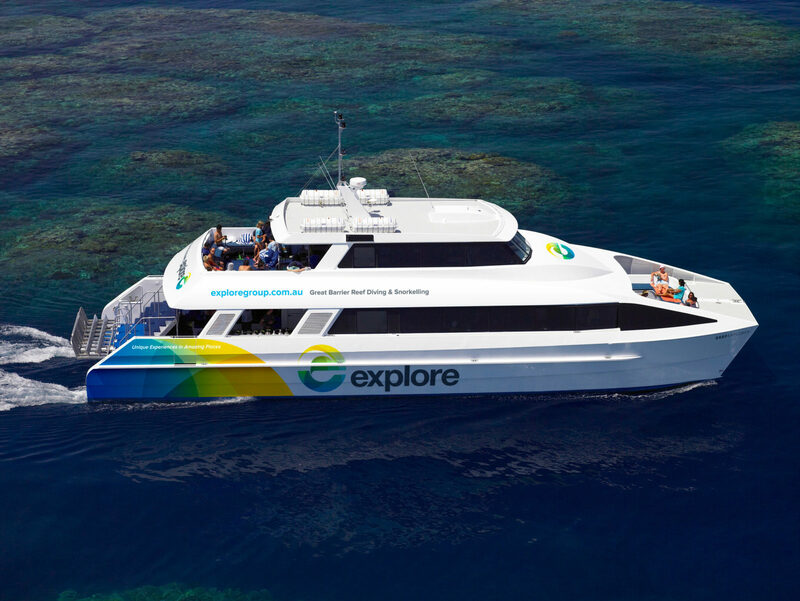 The reef is accessed by their premium dive/snorkel vessel, Island Explorer. She has two levels of air-conditioned luxury, lounge style seating, a partially shaded deck, fresh water hot and cold showers. There is a full beam swim platform which makes entering and exiting the water a comfortable and easy experience.